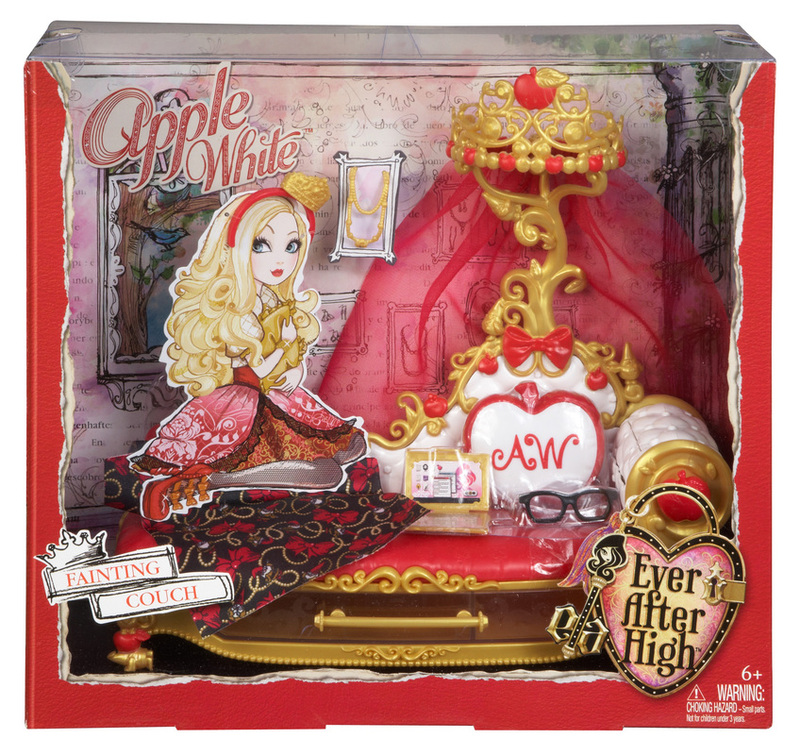 Ever After High Getting Fairest Apple White Fainting Couch Accessory: Whether you’re a Rebel or a Royal, who doesn’t want to look their fairest? 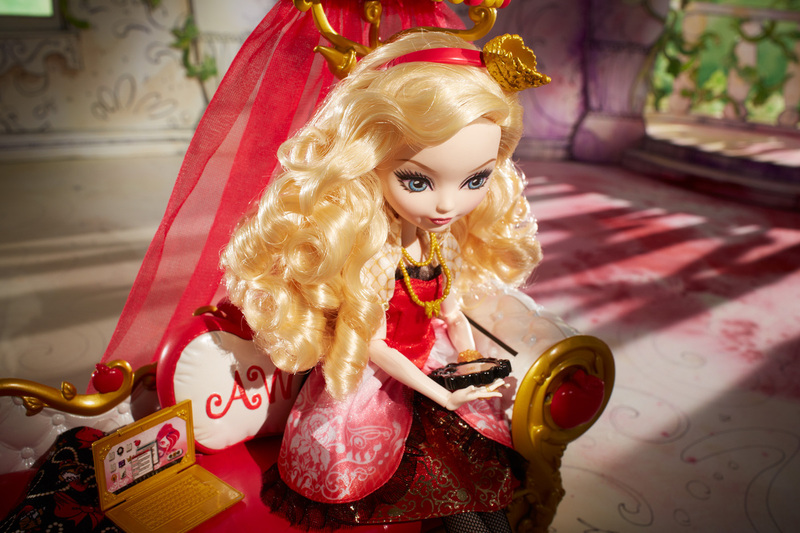 Especially when Ever After High students have just discovered a fableous new holiday to spellebrate - True Hearts Day! But what to wear? Each fairyteen has to make an epic style decision, and Apple White (doll sold separately) is ready to sleep on it with this spellbinding bed that decorates her dorm room. Designed in Apple’s signature red, white and gold, it positively charms with iconic details, like its chaise shape, “diamond-tufted upholstery”, tall sheer canopy and apple and bow accents. A monogrammed pillow is perfect for resting her pretty head, while a blanket featuring her signature print will keep her warm when the winds blow cold. 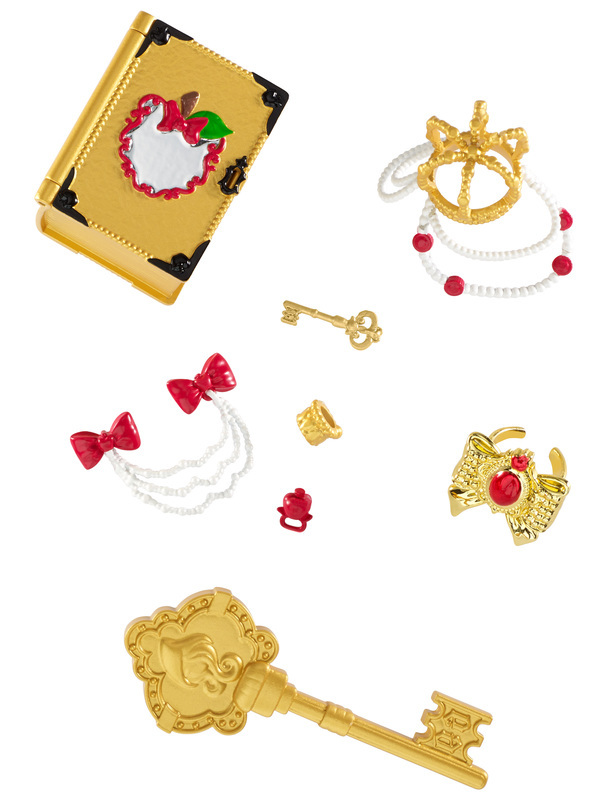 A drawer in the base slides out to store valuables like a golden necklace, geek chic eyeglasses and her golden laptop. 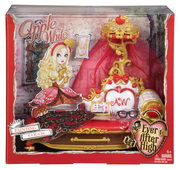 But this bed not only helps Apple sleep soundly, it also protects a few royal secrets. Turn the apple in the arm to reveal a hidden space perfect for keeping away prying eyes. 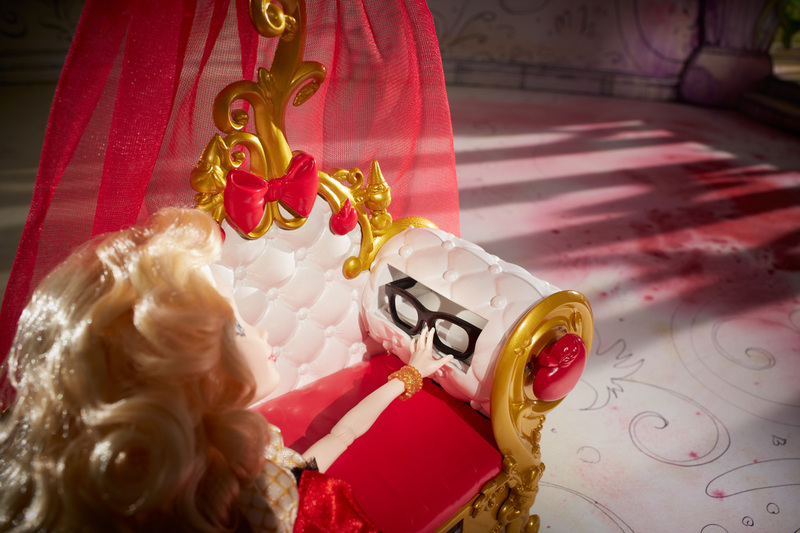 After a night of sweet dreams, Apple White doll can check with mirror at the foot of the bed to be sure she’s gotten enough beauty rest before starting another epic day! Includes bed with themed accessories; doll sold separately.